Report : Jackin 360 Surveillance Deployment in Singapore | | Sony Computer Science Laboratories, Inc.
Collaborative Project: SonyCSL, Research Agency in Singapore and Singapore Agency. In recent years, securing safety in public sections and events has become an international concern. Various technologies are used to ensure such public safety. Along with the development of communication networks and the evolution of network bandwidth and real-time intelligent video surveillance, there is a demand for technology for rapidly and efficiently sharing and analyzing the situations of remote locations. Sony CSL has been researching and developing first person experiences transmission system using Jackin Head : a wearable 360 degree camera system. Based on the acknowledgement of these technical achievements, we received a request for collaborative technical demonstration from the Singaporean government in 2016. Consequently, Sony CSL and the Singapore government team including Singapore and Singapore Agency began consideration for the demonstration experiment of the Jackin 360 imaging system at the Singapore Agency from FY 2017. 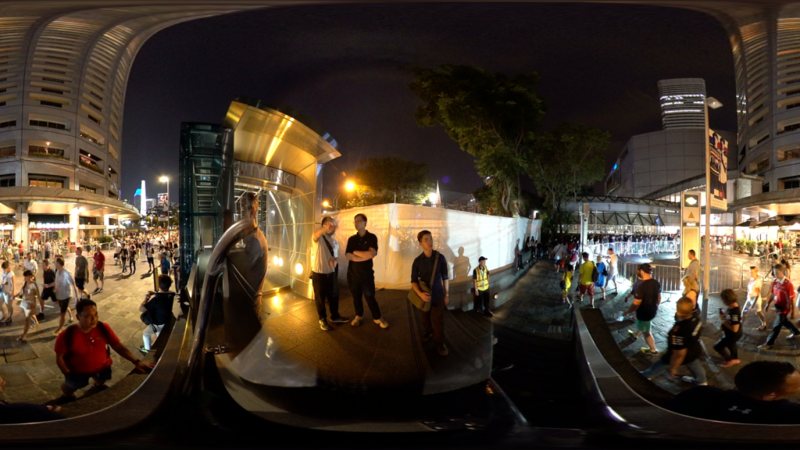 So far, the Jackin 360 video system provided and operated for the actual security operation during an International event held in Singapore. We have also provided technology to the Singapore Agency, including the solution used in this practical demonstration. The further practical consideration for deployment in Singapore will be conducted successively. In this report, we will report on the security operation during the International event and explanation of the technology we provided. 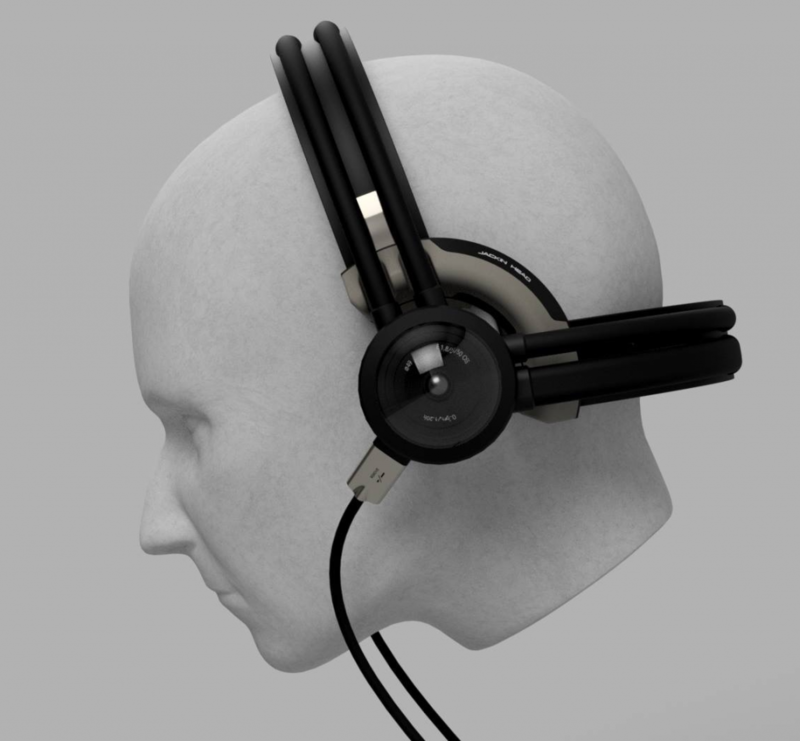 For the details of Jackin Head Technology, please refer here (https://www.sonycsl.co.jp/project/2373/). Using Jackin Head's technology, we implemented a wearable man pack system integrated into the shoulder bag and an in-vehicle system that is easy to install and remove on the car. Furthermore, we built a solution that integrates the video transmission system using multiple LTE and the 360 video viewer interface that can efficiently observe the received 360 video. As an integrated Jackin 360 video solution system, we experimentally installed to Singapore Agency. When used in a security application, if the camera device has an explicit shape like a helmet, the existence of the camera can be explicitly known, so it could have an influence on the surveillance mission. 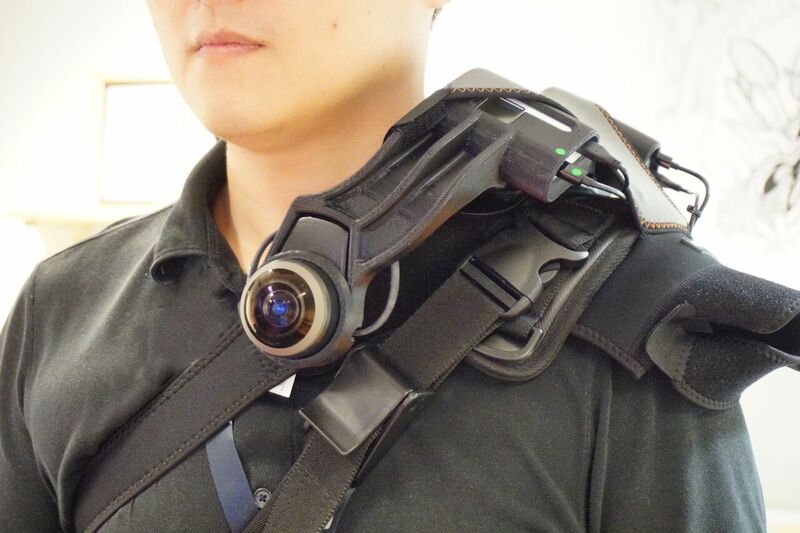 Therefore, the man-pack system was designed as a wearable form which integrates cameras and other components into the shoulder bag. We also design them for an activity at night or darker area. We built the camera system with an image sensor with high sensitivity even in dark. By combining those image sensor and a super wide angle lens (250 degrees) to make it possible to observe 360 degree circumstances from two cameras in front of and behind of the body. In the backpack, a computer module for Jackin 360 video processing, a local recording system, and a video transmission device are housed. This system realizes a recording of low compression recorded data simultaneously with video transmission. 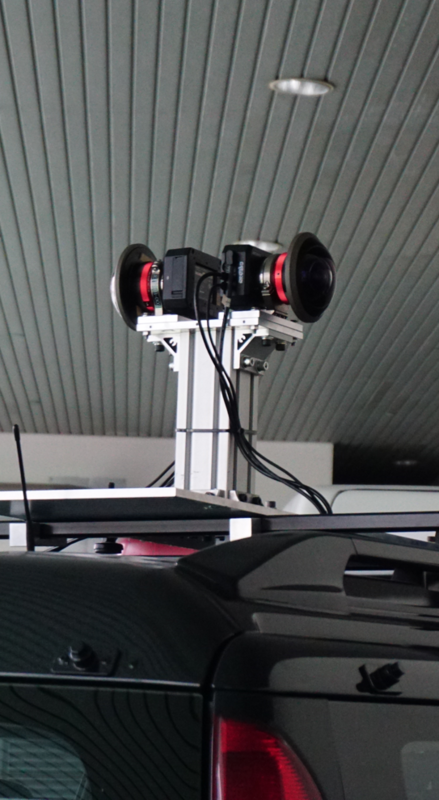 We implemented the on-vehicle JackIn 360 system prototype by using video synthesis and stabilization processing. In the on-vehicle system, by using 4K high-sensitivity image sensor for the camera module, it is possible to capture 360-degree images with maximum 6K resolution at the maximum ISO 409600. Furthermore, by installing an in-vehicle battery system, continuous 8 hours operation has been realized. 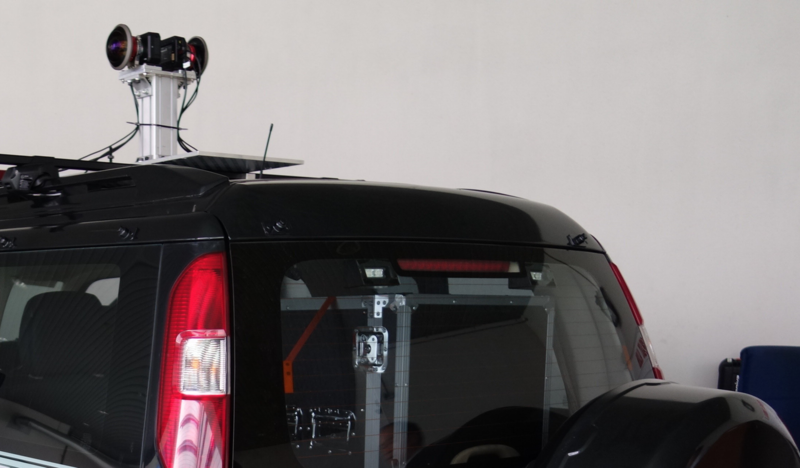 These systems are modularized and are designed to quickly remove and install for vehicles as needed for surveillance operation. 360 video steam from the man-pack system and the vehicle mounted system on the security operation site are transmitted at the control center using a video transmission system using multiple LTE connection (http://zao-s.com/). In addition, the system on the receiving side is designed to acquire video streamings through the LTE network so that we can respond to changes according to the operational situation. In this project, prior to the actual experiment of video transmission via this system, preliminary verifications were conducted several times, and the most desirable configuration for operational and technical purposes were selected. 360 video received at the control center can be observed by a dedicated interface application. The security officer can use the joystick to perform operations such as viewpoint movement, zoom in / out, and capture of 360 degree video. In the vicinity of the Singapore city event venue, we (SonyCSL,Research Agency in Singapore and Singapore Agency) operated the 2 Man-pack system, 2 Vehicle mount system, 4 systems in total simultaneously, and operated for 8 hours each . We also demonstrated at various places including government officials. Based on these results, we gained high evaluations of both core technologies related to 360 images, solutions including image transmission and observation interface. This collaborative projects will carry out activities for further practical use and deployment.